New Delhi: “You have been lucky enough to gain education from this great university. But on this day, spare a thought to those young people who did not get such an opportunity in spite of deserving it. 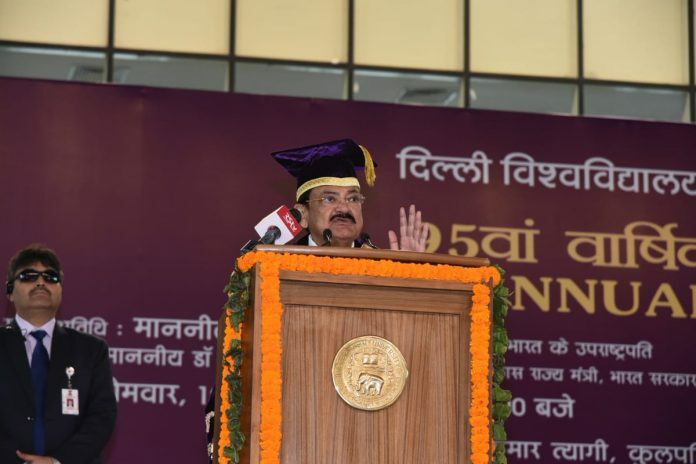 It is upto us to take the benefits of education and the opportunities it opens up to the last mile” the Vice President of India Mr M. Venkaiah Naidu told the graduating students of the University of Delhi. He was addressing the 95th Annual Convocation the University of Delhi. 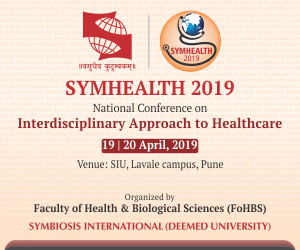 Mr Naidu observed that India had undertaken a long and arduous, yet rewarding journey in the field of education, from the “Guru –Shishya parampara” of learning under the shadow of a tree in the ancient times, to becoming the third largest in the world in the field of higher education. Mr Naidu urged the students to not let their degrees and mark lists limit themselves. He said that those were just foundations and added that what they built from there, what they chose to be and do in life was totally upto them. The Minister of State for Human Resource Development, Mr Satyapal Singh, the Vice Chancellor of the University, Prof Yogesh Tyagi, students, faculty and staff of Delhi University and parents were present at the ceremony.